Last Sunday, Christians experienced an amazing worship experience at Glad Tidings PJ, led by Paul Baloche and Stu G from Delirious?. Christian music-lovers are a blessed people. Want something contemplative and comforting? We have Don Moen and Stuart Townend. Want something Rock-ing? We have The Planetshakers and Switchfoot. Even within the area of Christian Rock, there is great diversity. The Rock of bands like Jars of Clay is very different from the Rock of Delirious?, somewhat like the difference between the Britpop sound of Oasis and the meditative “limestone rock” of Coldplay. This diversity in musical expressions is one of the greatest gifts we have, and one of the most vibrant demonstrations of the ways Christians with different personalities are able to reach out to God. Right in the center between the Contemplators and the Rockers, we have worship leaders like Paul Baloche. The name of Paul Baloche may not be as well-known in Malaysia as some of the others mentioned above, but his songs are renowned. They range from the contemplative like ‘Above All’ and ‘What Can I Do’ to the anthemic like ‘Arise’ and ‘Our God Saves’. He has worked with countless leading songwriters in the CCM scene like Don Moen, Matt Redman, and Michael W Smith, and won countless Dove awards. Paul and his team did not come to perform a concert. They played roles as worship leaders and it was a wonderful participatory experience singing thanks and praises to God. One of the first things Paul did that evening was to lead us into a session of thanksgiving to God, through the song ‘Thank You Lord’ which he co-wrote with Don Moen. Every good thing we have comes from the Lord, and this song reminds us to thank Him with grateful hearts, with songs of praise and with outstretched arms including for the blessings that we may not realize or see with our natural eyes. This was followed by the song ‘Hosanna (Praise is Rising)’, a joyous song which claim hold of the hope and promises we have through God. Through God, we have strength to face the day and any fears we have regarding issues on that day are washed away. It also takes hold of our identity as Christians; that the old are put away and broken lives made whole. Many other songs of thanks and praises were sung that night regarding the joy and hope we have in Christ like ‘My Soul Sings’, ‘Praise Adonai’, ‘Our God Saves’,‘Your Name’, and even some from his latest album, 'The Same Love'. Quite early on, Paul and Stu G made the call for all the six to sixteen-year-old to come to the front and a prayer was made for them. Paul and Stu G encouraged and reminded us that the Next Generation is a heritage from God. These are the generation that would one day become mighty people for God as preachers, pastors, worship leaders, and other ‘History Makers’ for Him if led through proper discipleship and examples set by us. The song ‘Did You Feel the Mountains Tremble?’ expresses the might of God’s movement and the immense possibilities when His people are moving with Him. One theme that stood out throughout the whole evening was of the Unity in the Church. Various worshippers of all ages, across all denominations, and from many different churches joined hands and interceded for the country. Paul and his team led us into a prayer of intercession for the country that it might become a mighty voice for God among the nations. Paul shared that worship is not a one-way course of action. Often, we need to quiten ourselves and learn to listen to God. There were many quiet moments, and Paul and his team was greatly led by the Spirit, many times making impromptu changes to schedule as the Spirit led. Some of the songs we spontaneously broke into singing that night were Sadhu Sundar Singh’s ‘I Have Decided To Follow Jesus’, and Judson Van DeVenter and Winfield Weeden’s ‘I Surrender All’. The worship extended a further 45 minutes beyond the original 2 hours schedule, and ended with an autograph and photography session. Like all human efforts, the Contemporary Christian Music is not without its weaknesses. Many critics have condemned the genre for being superficial, emotionally-based rather than God-based, and directed inwards rather than outwards. But like all things, there is a balance. It is the nature of art to evoke emotions in their audience. Our emotional expression, including the feelings of joy, is of utmost importance too. Over-rely on dogma and doctrines to the exclusion of all else, and our faith will become a dead, joyless, one. 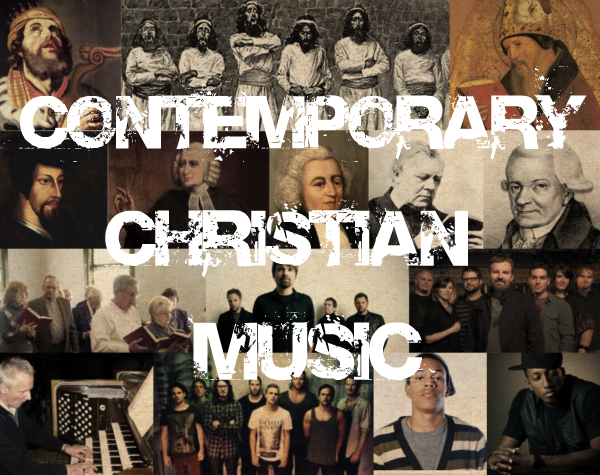 Taking into consideration the strengths and weaknesses of the Contemporary Christian Music scene, I feel it has an important place in the Church but it should not come at the expense of the other forms of Christian music like the traditional hymns, choral music, and gospel music. And most importantly, it should never be a replacement for the other aspects of our Christian life, like the devotional practices of our daily communion with God through prayer and His Word. Worship leaders like Paul Baloche and his team however have their hearts in the right place and we need more people like them in the CCM circle.